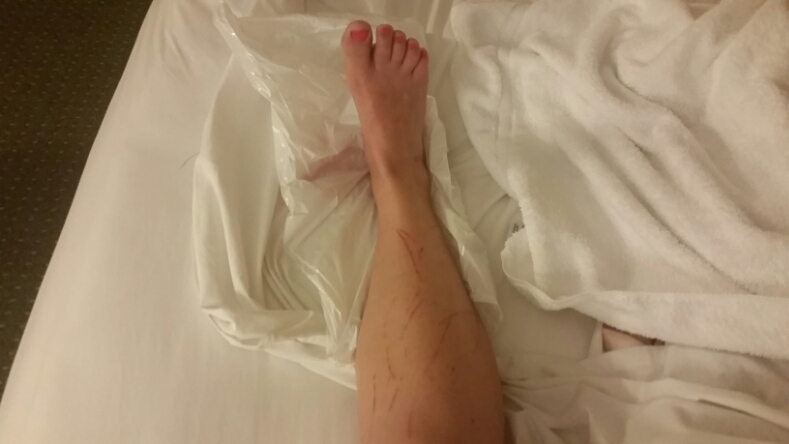 What a relief to finally be on trail and find my body remembers what this is all about. The walking, the sun, the water, the maps, I love it all! 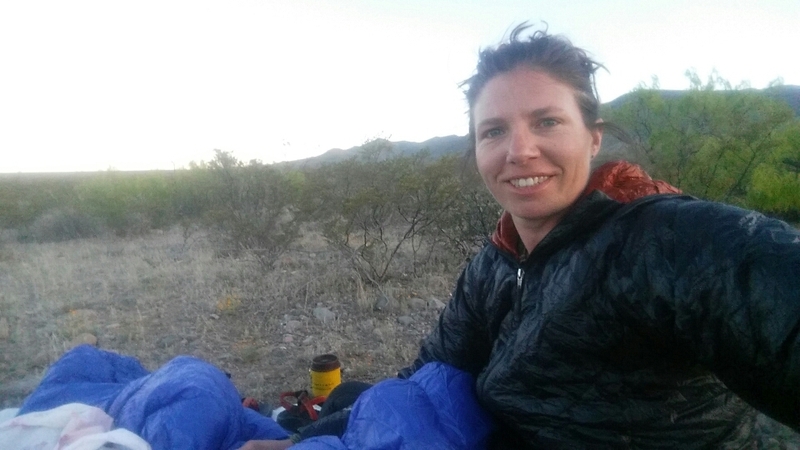 After another sub-par night of sleep, I woke to my alarm at 5:30am…just enough time to pack up, hit the continental breakfast at the Econolodge in Lordsburg, and meet Teresa, Val, and Juan who would be shuttling us to the border. Getting to the start of the CDT is not an easy task. 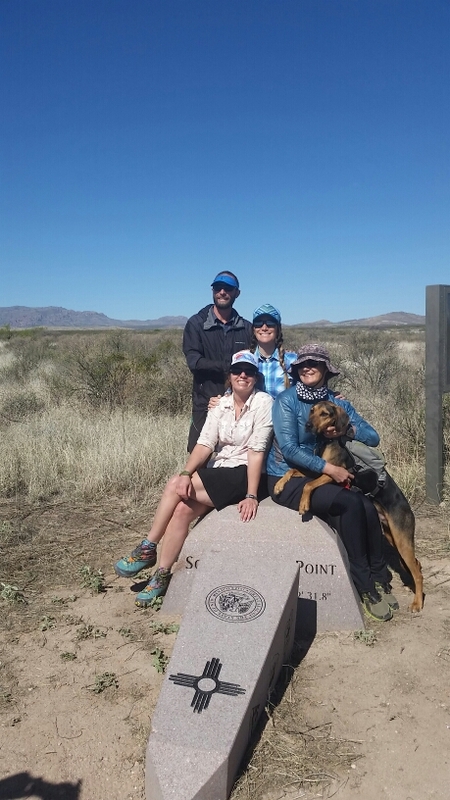 While there are traditionally three spots folks can start the trail on the Mexican border, two are not ideal, either passing through private property, or containing looooong road walks. 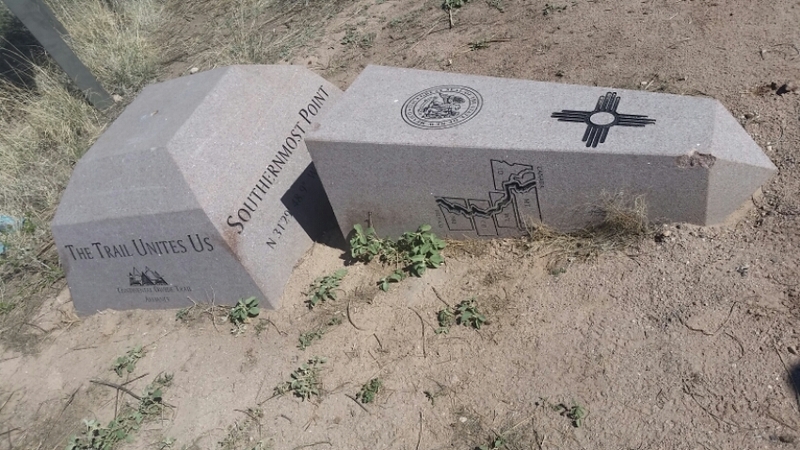 The Crazy Cook monument is the spot most people start, and it is in the middle of freaking no where. The Continental Divide Trail Coalition offers shuttle service to the border, and since I’m their trail ambassador this year, I was able to catch a ride down the day before the official shuttle service started. So did Bearclaw, Dirtmonger, and True with her dog Billy. 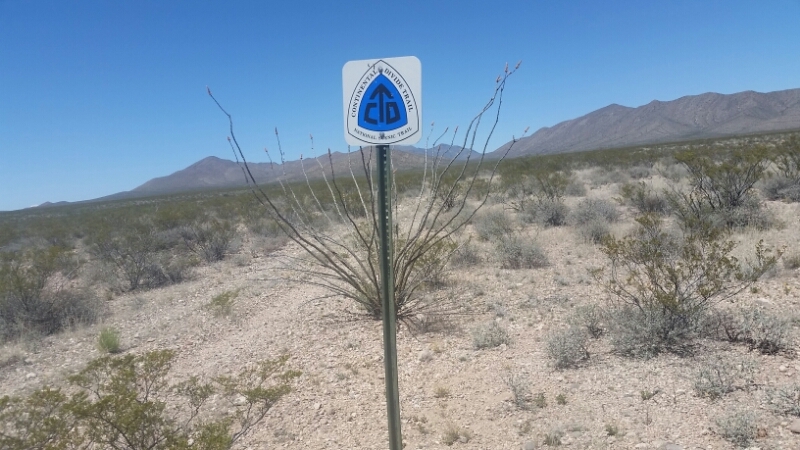 For $120 the CDTC will take hikers the 3 hour drive over nasty rutted dirt roads to Crazy Cook, and will also maintain 5 water caches for hikers along the 84 trail miles to Lordsburg. A real deal considering others offering rides charge more and don’t cache water for you. We loaded up the vehicles and were off! FINALLY. We rolled up to the border about 10am, and yes, the road is nasty. We all took obligatory photos, turned around, and set off! 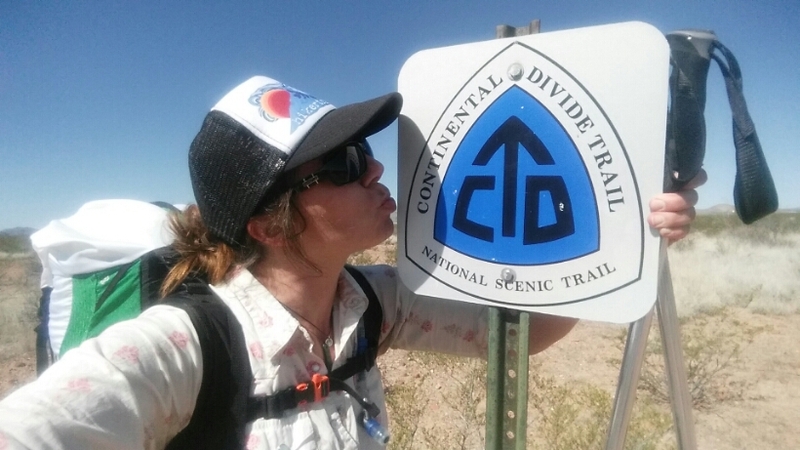 The first few miles were cross country, but posts with big CDT symbols made it easy to navigate the great wide open. I had a perma-grin on my face the whole day. I’m on the CDT!! 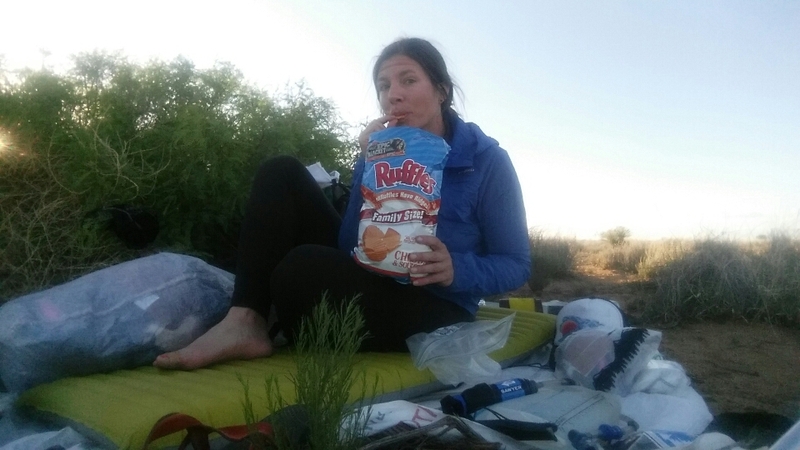 Soon the trail started following a dirt road and I hiked a bit with Bearclaw & Dirtmonger…taking lunch with them in a dirt wash. Oh life! Dirt and trail food and sweat! We all played leap-frog with eachother the rest of the afternoon, in and out of deeply cut washes. 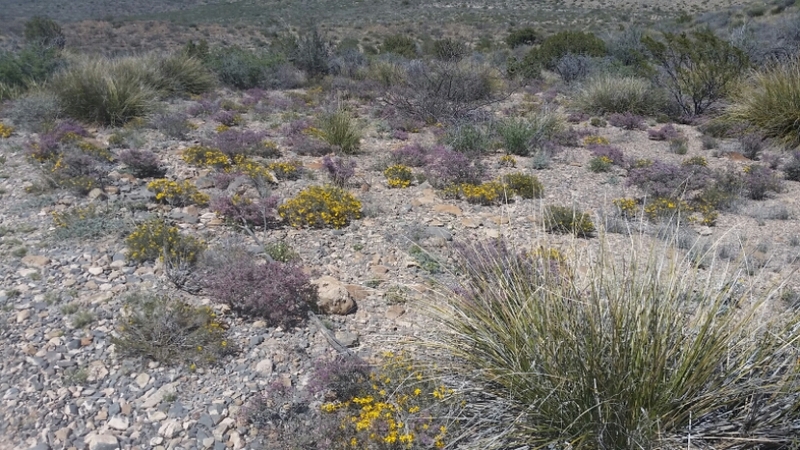 The sandy-rocky footbed was pleasent and flowers of the brightest yellow and deepest purple carpeted the desert in places. 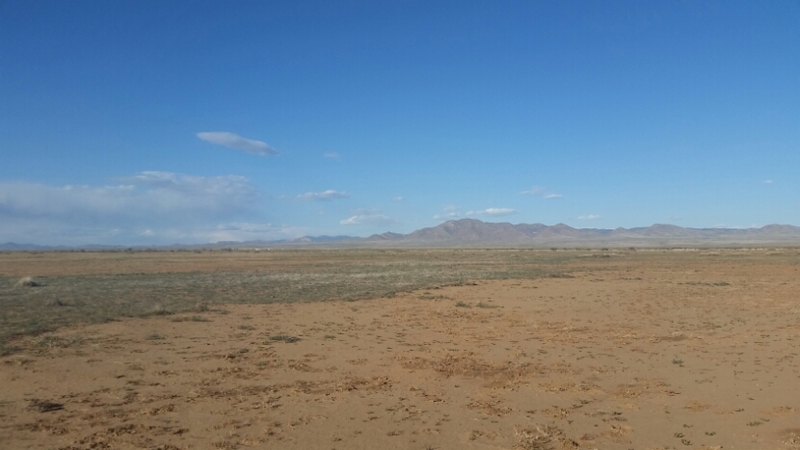 We’ve heard the desert is greener than it has been in a while due to a wet winter. Score! 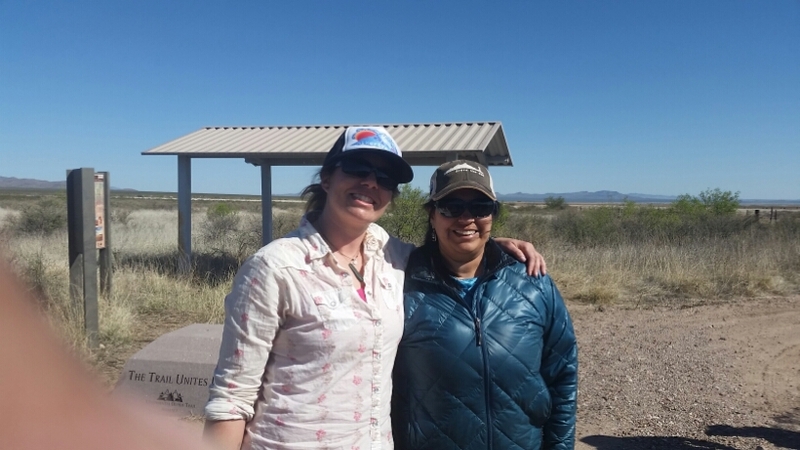 I caught up to Bearclaw & Dirtmonger once again at the first cache, and found Rambler, who had decided to hike south from Lordsburg. Filling up on a few liters of water, I set off for an evening stroll. 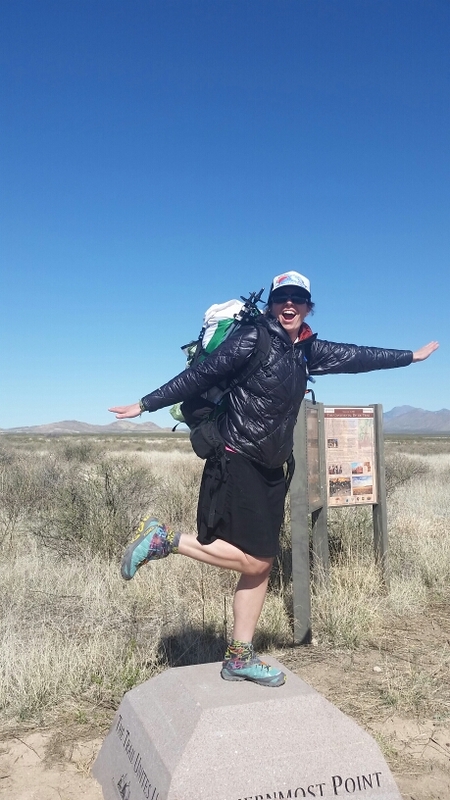 I had carried more water than i needed from the border, and have much too much food, but hey! Other than that the first day went amazingly. A bit before dusk I cleared out some rocks for a place to sleep; I’ll cowboy camp (sleep out in the open without a shelter) since the sky is fairly clear. I have my shelter handy in case it does decide to rain tonight, but i want to be out in the open, I want to watch the stars twinkle into existance as the sun sets (right now!) and soak in my first day on the CDT.